We believe the landmark Loews Philadelphia is as classic and flawless as a perfect diamond solitaire. So allow us to suggest it as the ideal choice for your wedding. Our Millennium and Regency Ballrooms are stunning and timeless choices that can host over 250 guests for a sit-down dinner. Or, ascend to our 33rd floor and let our famed glass Terrace be the setting for your wedding in the clouds. There are so many ceremony and reception locations for you to choose from, and each is more romantic than the next. If you’re planning an intimate gathering, you’ll be pleased to know they’re a special passion of ours. Let our seasoned Wedding Specialists attend to every detail from the delicate passed hors d'oeuvres to the perfect wine pairings to a custom cake designed by our own in-house pastry chef. Our award-winning chefs will create dishes as memorable as the day itself. Additional we specialize in LGBTQ and Culturally specific wedding traditions. Whether you’re tying the knot for the first time or renewing your vows let the historic Loews Philadelphia be the place you begin making a history of your own. When hundreds of dishes are being served at the same time, it's important that each person’s plate seem like part of a special, intimate meal. And since your wedding is a once-in-a-lifetime event, we understand we have just one chance to get it right. Our award-winning chefs can create custom menus based on the couple’s tastes, dietary needs and budget. We are proud to offer vegetarian, Kosher, and many international cuisines. And of course, we can offer suggestions for the perfect wine pairing to go along with the cuisine. From delectable plated meals to decadent wedding cakes, our collection of menus features a variety of experiences to choose from. We pride ourselves on working with each couple to design the exact experience they are looking for. No matter the size or type of celebration, we can create the wedding of your dreams. Your reception package includes a custom designed three-tier wedding cake prepared by our pastry chef. Choose from a variety of designs and cake flavors. Please bring in photos of your favorites for inspiration as we create your wedding cake. 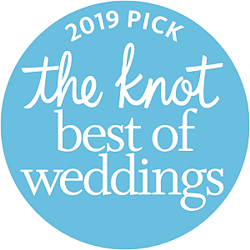 In addition to our expert staff and on-site services, Loews Philadelphia offers a wide variety of preferred professionals in the many areas of Wedding Planning and Coordination, Entertainment, Floral/Event Design, Photography, Salon Services, Transportation, and more. These industry professionals are the best in their field and have been hand-selected to complement and enhance your special occasion. Once you have booked your event, we’ll share our list of our go-to A-team partners with you. From the Rehearsal Dinner to the Farewell Brunch, we can provide you with a variety of options and menus to complete your weekend of celebration. Host your Rehearsal Dinner in one of our unique function spaces to ensure the perfect start to your wedding celebration. At the end of the weekend, a Farewell Brunch is the ideal opportunity to say good-bye and thank your closest family and friends. Please ask for menu options and be sure to let us know if you have any specific ideas for a theme. Welcome out-of-town guests with a special amenity from Loews Philadelphia. Logo merchandise, in-room food and beverage amenities and other options are available; please ask us for details and pricing. If you are bringing your own welcome amenities, the hotel charges $4 per delivery. Each of Loews Philadelphia Hotel’s 581 spacious guest rooms and suites feature a welcoming yet sophisticated style. In addition to setting up a discounted room block, we can create a Personalized Reservation Webpage for your guests to make convenient online reservations. Ask for pricing and details. Your guests will enjoy refined luxury and contemporary comfort at Loews Philadelphia Hotel. From luxurious accommodations to our Bank & Bourbon restaurant and lobby bar to our stunning spa, your party will be well taken care of. In their spare time, your guests can enjoy a wide range of Philadelphia’s attractions just steps from our door. These are just a few of things that make our iconic hotel the ideal location for your wedding celebration. Contact us at 215-231-7346 or via email at loewsphiladelphiacatering@loewshotels.com.